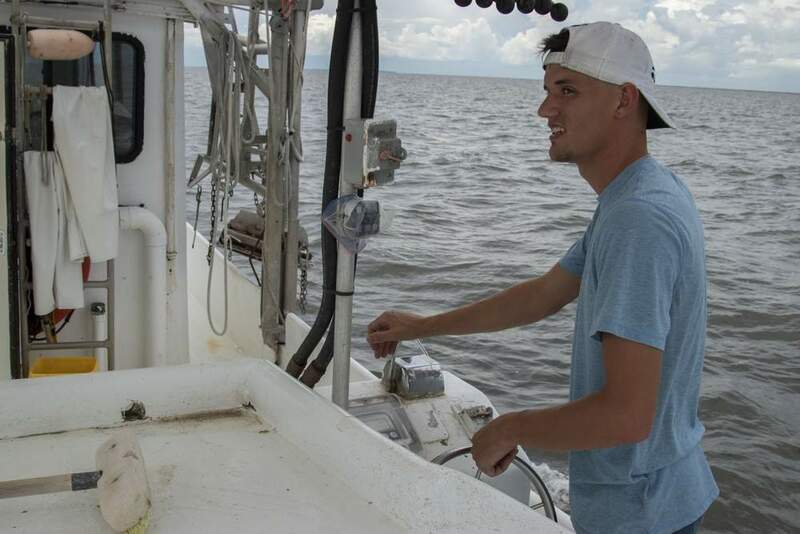 The National Oceanic and Atmospheric Administration said it had decided to expand the fishing closure from its current northern boundary as a precautionary measure to make sure consumers don’t eat seafood contaminated by the gulf oil spill. All told, a little more than 80,000 square miles, or 33 percent of Gulf of Mexico’s federal waters, are now considered a closed area. Because this remains an evolving situation, NOAA said that it will retest the area and reopen fisheries when they are deemed safe. 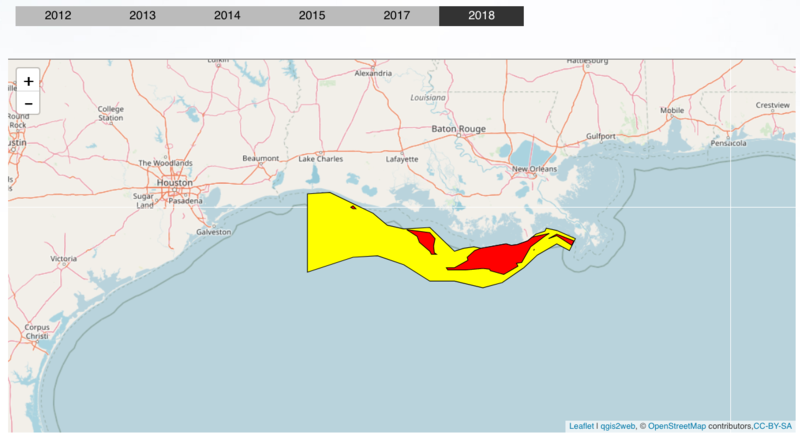 Meanwhile, commercial fishermen in the Gulf, who harvested more than one billion pounds of fish and shellfish in 2008, face another threat to their livelihood: a growing "dead zone" with little or no oxygen in the water. 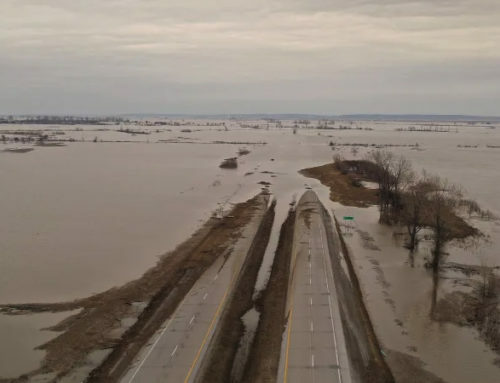 Scientists tracking this phenomenon for the last few years say the affected area measures between 6,500 and 7,800 square miles – a stretch approximately the size of New Jersey. 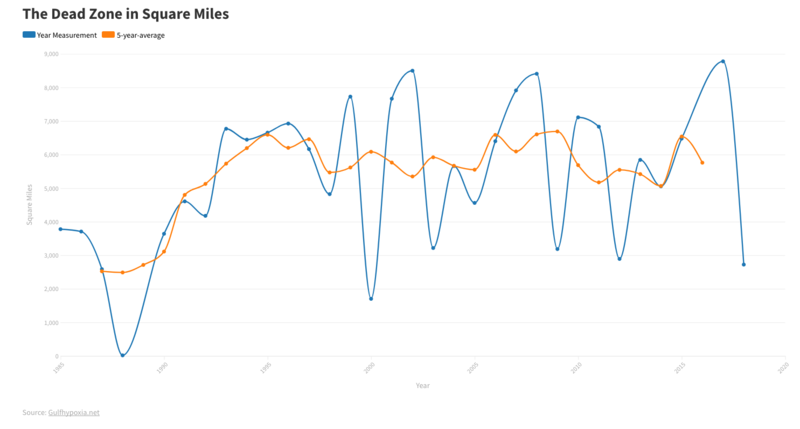 The dead zone has averaged 6,000 mile the previous five years. Until the Deepwater Horizon explosion, the chief culprit for the Gulf dead zone was thought to consist of farmland runoff containing fertilizers and livestock waste. 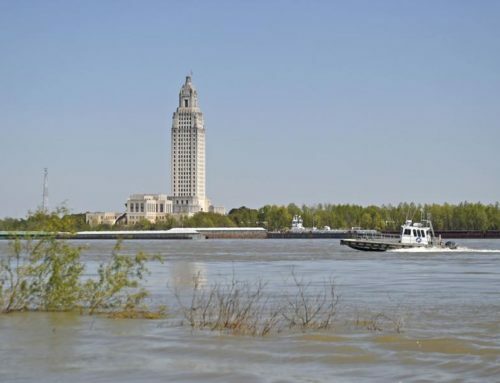 Each spring, waste products carrying nitrogen and phosphorus flow down the Mississippi River and into the Gulf, feeding what’s been explosive growth in algae. After the algae die and decompose bottom-dwelling bacteria consume oxygen that otherwise would be available for bottom and near-bottom waters. 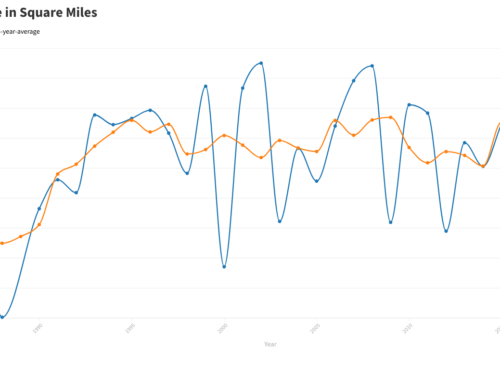 Thus, the creation of the dead zone. The presence of millions of gallons of oil has the potential to exacerbate the problem. As the oil breaks down, the chemical process consumes oxygen and also reduces the diffusion of oxygen from the air into the water. At the same time, the oil might also restrict the growth of hypoxia-fueling algae, helping to limit the size of the Gulf dead zone. The five largest Gulf dead zones on record have occurred since 2001. The biggest occurred in 2002 and measured 8,484 square miles. "The growth of these dead zones is an ecological time bomb. 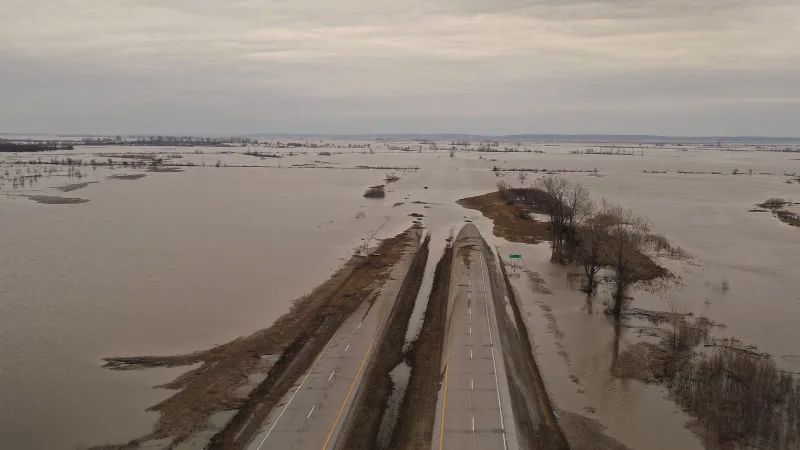 Without determined local, regional and national efforts to control them, we are putting major fisheries at risk," said University of Michigan aquatic ecologist Donald Scavia. 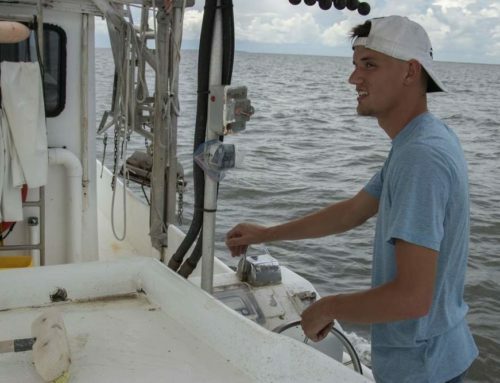 He added that the presence of toxic oil this year has created a "one-two punch that could seriously diminish valuable Gulf commercial and recreational fisheries." 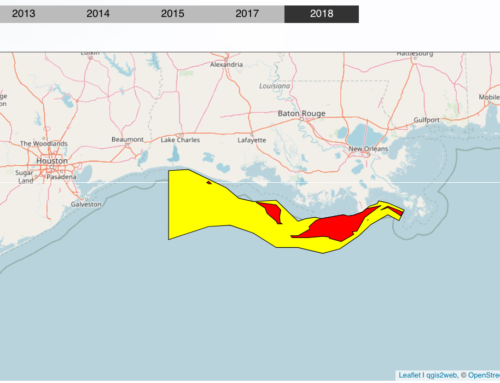 "While there is speculation out there as to how the oil spill might impact the dead zone, we are simply not sure at this point," he said in an email interview with CBSNews.com. "As bacteria decompose the oil, it will use up oxygen and that may make things worse. Also, oil in the water may impede the transfer of oxygen from upper layers to the lower layers and that could make it worse." Ironically, the presence of oily water may prove a short-term boon in terms of slowing the growth of algae. Scavia said the oil could be toxic to algae, reducing its production, and minimizing the amount of organic matter that gets decomposed in the bottom water. "That would make things better," he said, adding that the oil may shade the algae and also reduce production, making the dead zone better this year. "In either case, the combo of oil and the dead zone is not good for the coastal communities," he said.